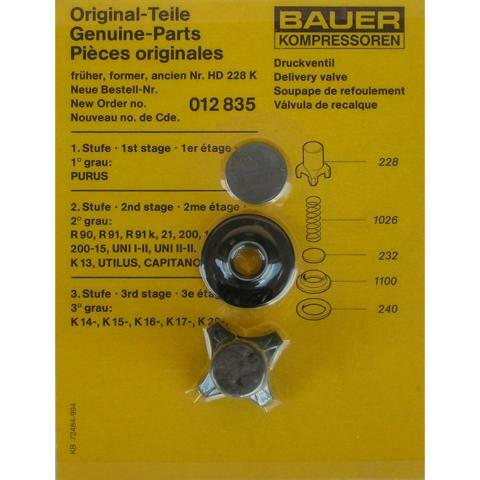 BAUER Discharge Valve Kit 012835 - August Industries Inc.
Bauer discharge valve kit 012835 contains the essential wear items in the valve assembly. Use the chart below to see the proper application of this discharge valve kit. 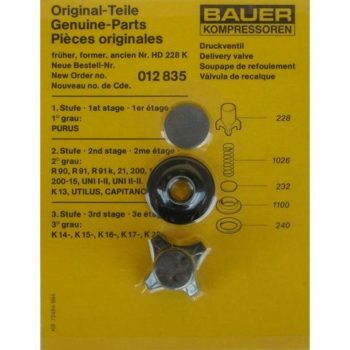 We also sell the entire valve assembly, see 014582.